PLAY on hundreds of public servers, or privately against your friends. Enjoy online play without having to be on the same wifi. Your crafting is finally set free from having to be on the same wifi. Better still, you can use in game voice chat for free and talk to other players while you play! 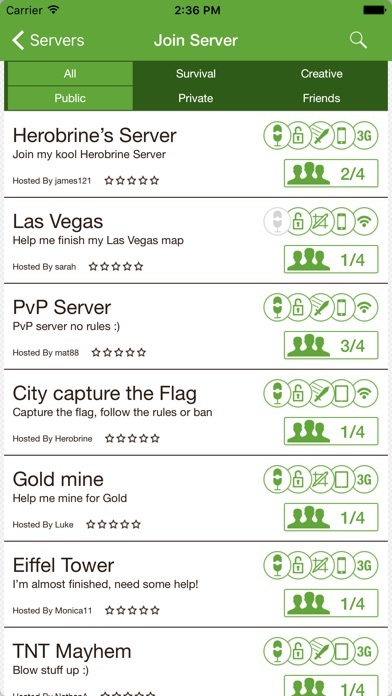 Play on hundreds of POCKETMINE servers, including special servers only available to users of the app! 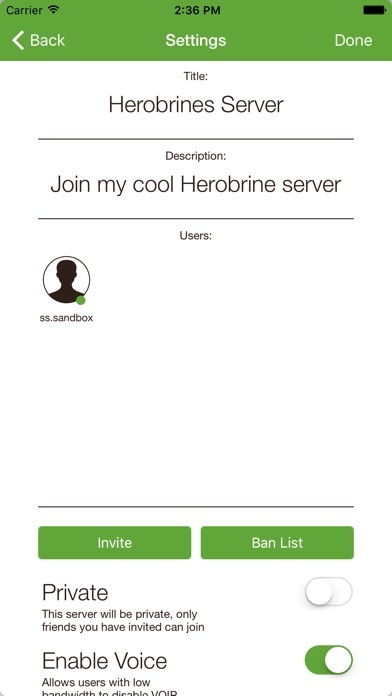 - Create/Host your own servers with up to 30 player slots and advertise them on the App for others to join you. 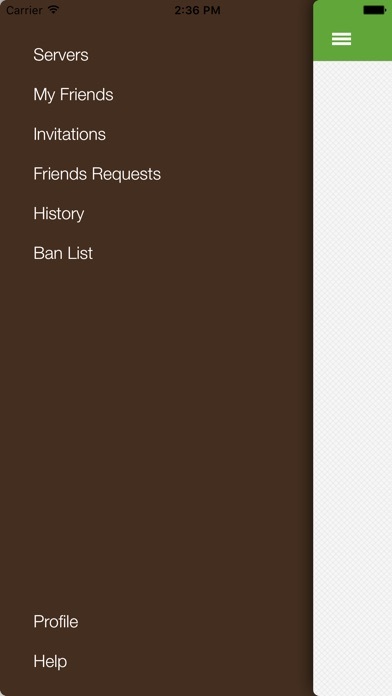 - Create/Host private servers, so only friends you've invited can join. - Free in game voice chat. Stevie won't need to learn sign language, all participants can use in game voice chat to communicate. 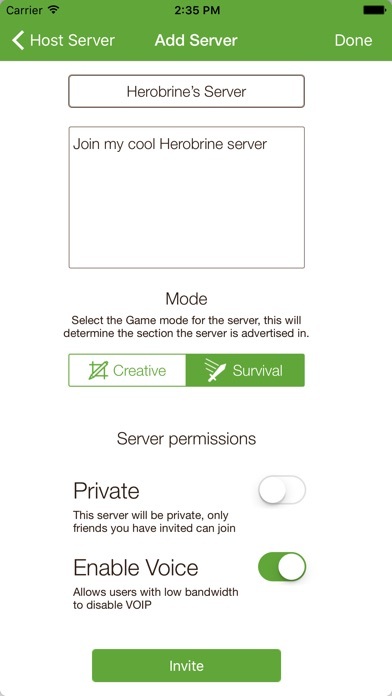 - Server hosts can manage users, with the ability to kick and ban griefers. - Free game to keep you busy while you look for a server to connect to. No subscriptions, no charges, no waiting for your server to be approved. Finally you can have more than just creepers to keep you company on your Minecraft World. [NOTE: This application will require you to install a VPN profile and connect to our network via the VPN. Only game related traffic will pass over the VPN, all other traffic will pass over your normal network connection. This application requires you to have either the free or paid version of Minecraft PE]. Game centre login required to Join/Host servers or Chats. 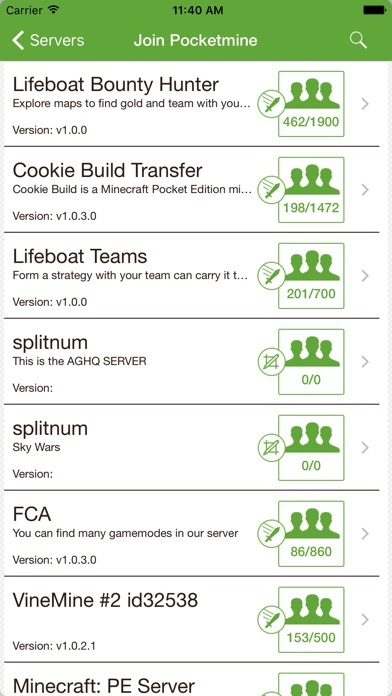 Disclaimer – This is a third party App, it is not the game MineCraft or affiliated with the game and its makers in anyway.